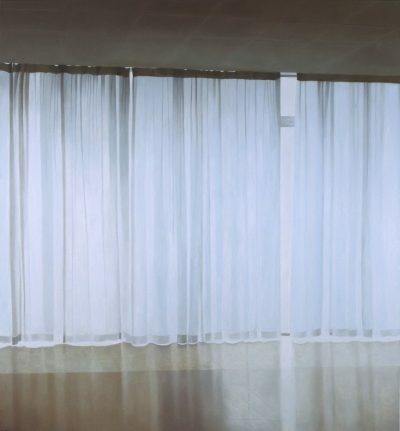 English painter Paul Winstanley (born 1954) attended Cardiff College of Art and the Slade School of Fine Art. His work focuses on the detailed recording of vacated spaces such as waiting rooms, passages and lobbies. In these melancholic interiors the traditional values of still life and landscape are allied with contemporary photography and the clean lines of 1970s utopian architecture. Winstanley has exhibited widely since the late 1970s. The first major retrospective of his work was held at the Auckland Art Space in New Zealand in 2008. His ‘Self as Selves’ was held at IMMA in 2009.